We haven’t posted in a while, but we aren’t gone. 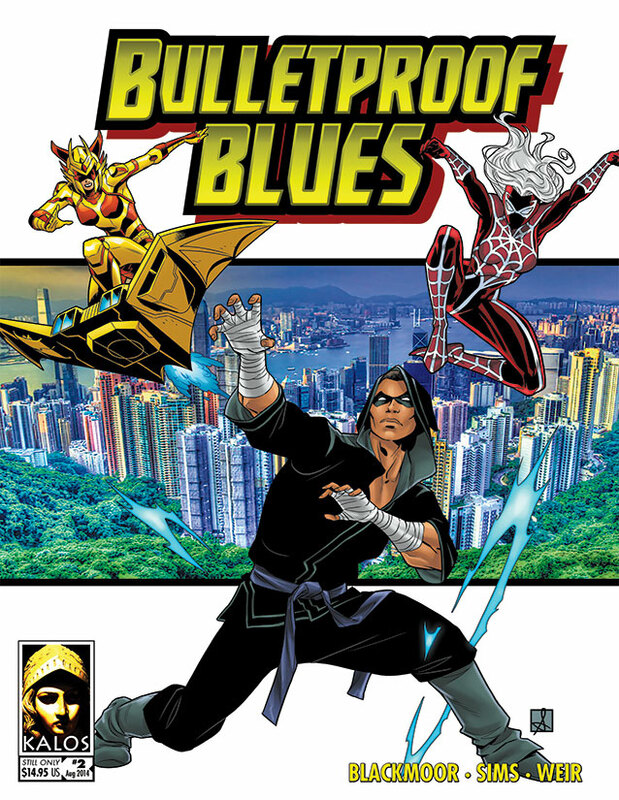 We have been revising, clarifying, and simplifying the third edition rules for Bulletproof Blues, along with our spinoff games, Rough Magic, ZeroSpace, and Bog-Standard Fantasy — aka Kalos Mechanism. We will start playtesting the nearly-final draft soon. If you are interested in playtesting it yourself, let us know! We would love to have your feedback, even if we ignore it. Just post a message or send a DM on our Facebook page. We added a new widget to the ZeroSpace document on OGC Library: a calculator for attributes. See what you think. We’ve decided to make a name and logo for the game system we’ve used in our superhero, fantasy, and science fiction games: Kalos Mechanism. 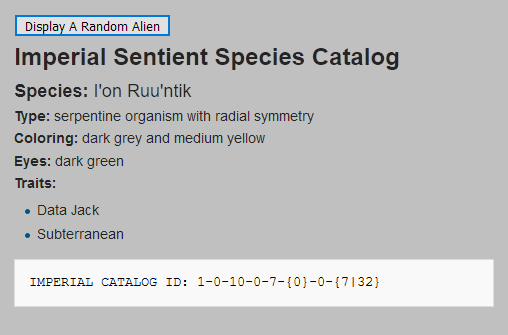 We added a new widget to the ZeroSpace document on OGC Library: a random alien species generator. See what you think.